Greenways are corridors of open space managed for conservation, recreation and transportation purposes. 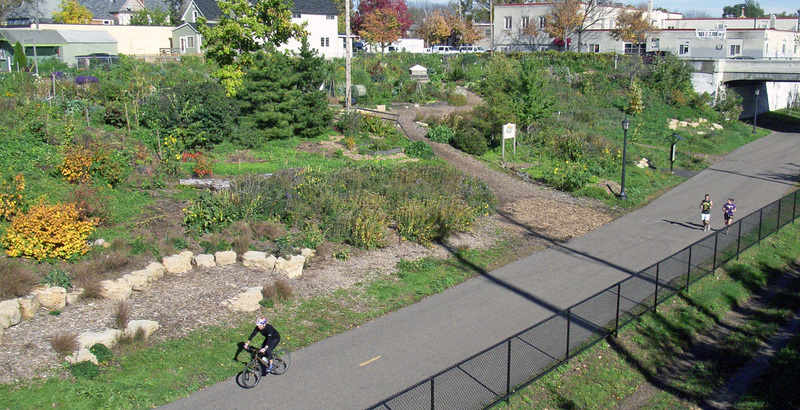 Greenways often follow natural land or water features, and link nature reserves, parks, cultural features, historic sites, and other public spaces with each other and with populated areas. Creating a greenway on the former Morris Canal will benefit residents and visitors alike. The greenway is envisioned to be a facility for local circulation, providing connections to transit, retail, and parks, as well as connections to regional bicycle and pedestrian facilities such as the East Coast Greenway and the Liberty-Water Gap Trail. Can’t wait to ride on this. I would be very close to my house.